How was your savings this week? I had a large savings amount, but it was dwarfed by the amount I spent. I was shopping to get ready for the Passover holiday, which meant a lot of special foods, meat, and produce. I also made a trip to Walmart to pick up some personal hygiene items that I would normally buy on sale at a drug store. But since I haven't drug store shopped much in the last several months, I am increasingly finding myself running out of certain items that rarely go on sale at Publix. The one piece of good news is that I probably won't do too much shopping next week. I have plenty in the house, thank you! I also made two trips to ALDI, spending, spending $28.39 and $20.29. I made two trips to Walmart, spending $19.29 and $5.26. 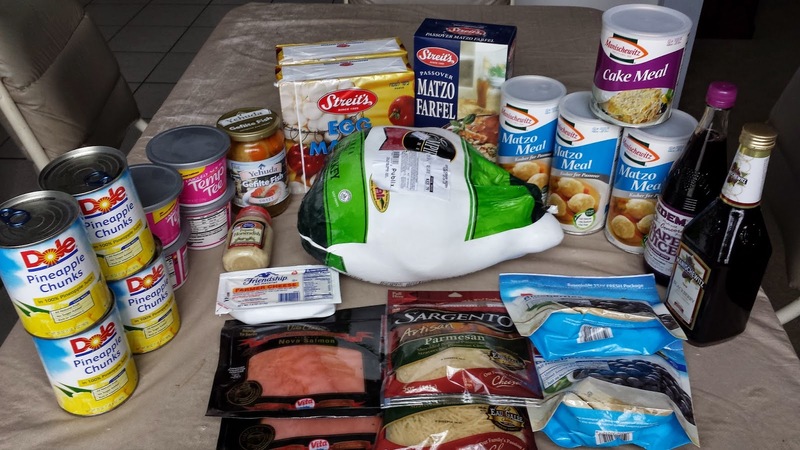 And I made a trip to the kosher market, spending $38.72 on meat and Passover desserts. Overall, this week I spent $191.73 for items which retail for $261.66, or a 27% savings based on the retail value of the products at the stores where they were purchased. For the year (15 weeks), I spent $1,251.84 for items which retailed for $2,152.58 and saved $900.74, or a 42% savings. 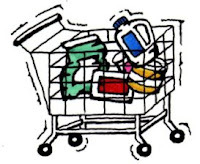 That's an average of $83.46 spent each week for a family of five (husband, wife, and daughters ages 16, 13, and 8), including lots of fresh produce, dairy items, and kosher meat, as well as paper and plastic goods, health and beauty items, and cleaning supplies.